The past few years something or another has prevented me from going to our annual Friends of the Library Book Sale. This year I almost forgot it was happening but then, gratefully, the random thought struck my brain that very morning, "Today is the day!" I mentioned to Jonathan at lunch that it was happening and he agreed that I could go. I tried to talk my boys into going with me but only one of them would, on condition that we look for train books. So off we went. 1 and 2. The Goose Girl , by Shannon Hale. I've been randomly picking this book up for the past few years at book stores and always decide against it. I hope to like it even more than When You Reach Me (which I reviewed yesterday, having also picked it up at the sale). 3. Harriet the Spy , by Louise Fitzhugh. I've never read it! 4, 5 and 6. Dun dun DUUUUUNN!!! Tom Swift and The Visitor from Planet X ("If the earthquakes cannot be stopped, the entire world will be threatened by destruction . 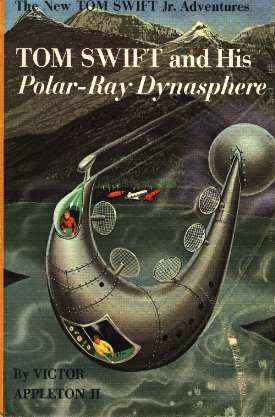 . . "), Tom Swift Jr. And His Outpost In Space and Tom Swift and His Polar-Ray Dynasphere . "Fireball missiles and a hairbreadth encounter with a charging tiger are only two of the perils that confront the daring young inventor in this colorful, thrill-packed adventure." *These are part of the newer Tom Swift Jr. books. They are not from the original Tom Swift series. But that's ok. I read a few of these when I was in my teens and always thought I'd like to find a few should I ever be a mother of boys. Done! 7. Finding Nemo: The Junior Novelization because why not? We enjoyed the Tangled Junior Novelization (linked) so much that I thought I'd go ahead and get this one for the boys as well. 8. The Little White Horse , by Elizabeth Goudge. Amy at Hope is in the Word raved about this one and I had stuck it on my Amazon wishlist. I grinned with glee and leapt upon this book when I found it in the massive pile of books! It's been traveling all around the house with me, waiting for my attention. 9. The Miraculous Journey of Edward Tulane , by Kate DiCamillo. Haven't read this one. Then things for Mommy, specifically . . .
10. Shirley , by Charlotte Bronte. Because I, uh, had never heard of it. 11. Kidnapped , by Robert Louis Stevenson. Because we didn't own it. I remember reading this one awhile back - but so far back I don't remember it. 14. 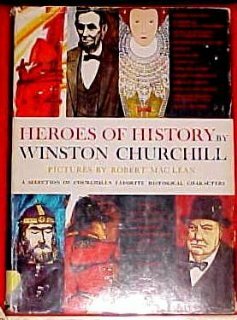 Heroes of History A Selection of Churchill's Favorite Historical Characters , by Winston Churchill. This book is a selection of stories from his History of the English-Speaking Peoples and it tells the story of people he most admired in history. I'm excited to read it. 15. Tale of Beatrix Potter: A Biography , by Margaret Lane. I've never read a biography of Potter and I know none of the merits of this one. Anyone else familiar with it? It looked fun. 16. 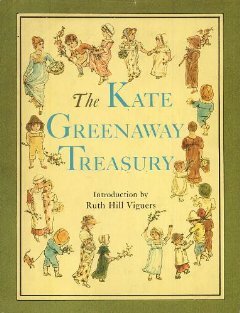 The Kate Greenaway Treasury which I picked up and began browsing through out of curiosity. In the introduction it explained that Kate Greenaway was the first author that wrote stories for children for entertainment purposes only without trying to attach morals to the story. (How. . . ?!? But never mind.) Her first story was published in 1878 and I'm curious to read through this collection of her works. This was my Friends of the Library haul this year - with the addition of a few other picture books which are all train themed. Now just reading as fast as I can. Per usual. One of our libraries has a fantastic bookstore that is open year 'round, but they also have a huge sale this weekend. I hope I can make it! Looks like a good haul! I didn't know there was more than one Jungle Book, either. I'll have to take some measures to learn when our Friends of the Library sale is -- I keep missing it. Wow! You had a great haul! Harriet the Spy!! That was one of my favorites as a kid. My copy was VERY well read. ;) My brother and I pretended to be like Harriet on one of my dad's contracts. We lived in a hotel for awhile and had a lot of fun with our spy notebooks. I can't wait to hear what you think of it! (Surprisingly enough, the Nickelodeon movie adaptation is rather good). Oh, I'm envious of your "Little White Horse" find! :) That one is on my list for read-alouds this year (believe it or not, we haven't read it yet). Enjoy your reading AND the train books! Wow, what a great haul! I don't think our library does booksales--they have a room devoted to it perpetually, but even if it's open when I am there, I never want to drag the kids in, so I don't usually go. I miss the huge Cincinnati sale--that was always something special. How fun! I almost never make our sales at the library. I guess I need to make a better effort! That was my first reaction. Then my second reaction was sadness that the library is getting rid of the good old books and fear of what books are replacing the ones we buy! But I still love a good library book sale. Looks like you got quite the haul. The Churchill book looks interesting. I missed the last library sale. On purpose. Can you believe it? But I just have way too many books in my closet that need reading before I can consider going to one of those again. That sounds like so much fun! I'm glad you were able to find a copy of Daniel Deronda! I was actually given a copy as a Christmas gift, which is great, because it's one of my favorite books. And I have never actually owned it. Don't feel bad about not knowing about Shirley. I just found out there was another Jane Austen book that I didn't even know was in existence. I started questioning everything. EVERYTHING! I remember liking Harriet the Spy even as I was horrified at her behavior. I still need to find a copy of Daniel Deronda. Yes, there are two Jungle Books. Are you reading both? Just the Mowgli stories? Also, have you ever read Kipling's other novels? They seem to have been forgotten for some reason. Sad. I am addicted to our local library sale!! As is evidenced by the stacks of books in my basement. My local library sale is in 2 weeks. I have 2 other events that day but will try to squeeze the sale in. At 25 cents a book for children's books, how do I NOT go?! !